With more than eight years of training experience, Sara is a certified fitness trainer and owner of All Women Have Muscles. 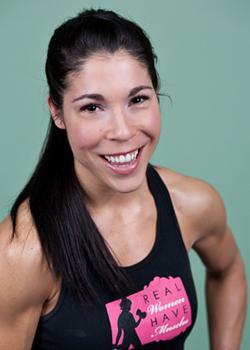 She adheres to the principles of High-Efficiency Training and typically trains clients on a one visit per week basis. You do not need to get in great shape before coming here or starting a program. Sara’s job is to help you every step of the way! High efficiency, strength training, and conditioning is one of the most time efficient and results-driven ways to train while keeping the body injury free. Sara helps correct the three most common mistakes people make when working out: improper form and technique, not training with enough intensity, and over-training.